Minimal little One Pager for a new open-source screen recording app called Kap. 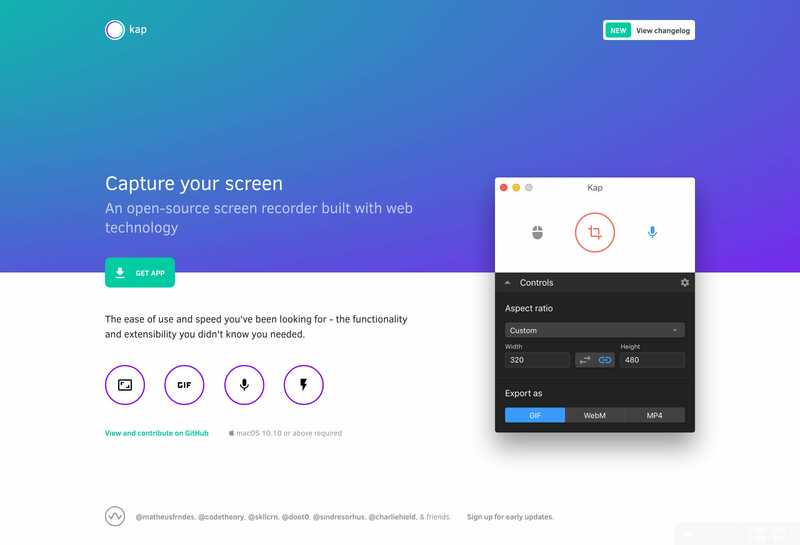 An open-source screen recorder built with web technology. The ease of use and speed you've been looking for - the functionality and extensibility you didn't know you needed.